Though slow-paced and with very little action, The American is a cat-and-mouse film driven by the fear and paranoia of Clooney’s hitman. Whether he is awake or asleep, there is no escaping the past, tormented by the image of the woman he felt he had to kill, who was probably an undercover agent but who could have simply been a bystander that was in the wrong place at the wrong time. Clooney’s wants to believe he was tricked, but his heart says otherwise. After the bloodshed, Edward hides in a small Italian town. As soon as he gets in touch with his boss he is assigned yet another job in which he would “not even have to shoot”. Relunctantly he accepts, probably fooled by the seemingly simple task at hand. As he carefully assembles a custom rifle that will be used by a mysterious fellow hitman, the film slows down, becoming a rather tedious exploration of the daily affairs of “The American” as the townsfolk begin to refer to the newest member of the small community. As the days pass by, he inevitably meets a couple of people that open themselves to him, unaware of the danger it represents. Not only is Clooney’s hitman afraid of causing harm, but he is also overly cautious, always prepared to meet an undecover agent who could suddenly kill him. Not without hesitation, Edward begins to lower his defenses once again. He does so seeking for normalcy and companionship, away from the constant stress of his craft. The hitman portrayed in The American is uncharacteristically unable to cope with the nature of his own profession. Unlike many other recent incarnations of the genre, this film focuses on our hitman as a person who desperately wants to live happily even as he is almost entirely convinced that there will be a sad end to his misery. Despite his severely flawed and distant personality, Clooney’s hitman makes himself likeable because we sense his sadness and desire for a change, making us root for him all the way through. Despite all of the nuances of a carefully crafted film, The American fails to live up to my expectations. The lack of dialogue coupled with the lack of pace as the film chooses to focus on banalities makes for a rather dull experience that extends for at least half of the film’s running time. 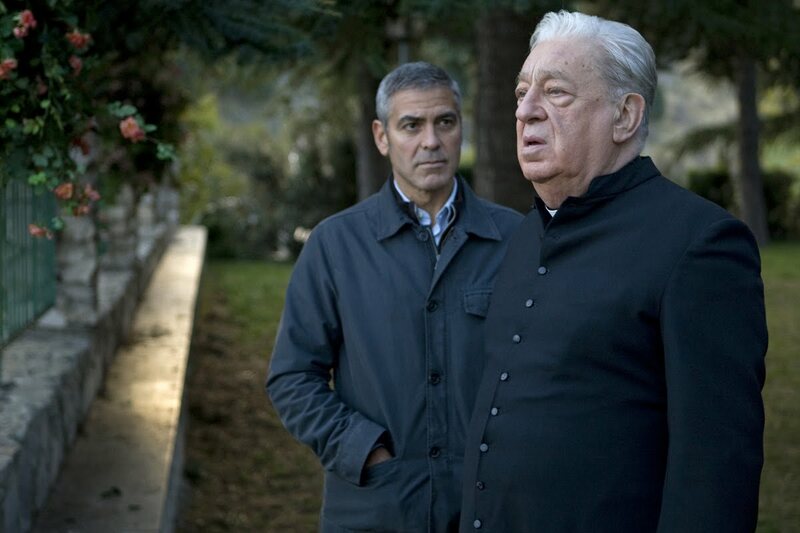 The American is also Clooney-centric, making the few characters around him lack depth. Even though Clooney conveys a great deal through his eyes, there is a desire for him to let go of his fears and emotions that is hardly ever satisfied. A lot of what takes place in the film happens inwardly as a testament to Clooney’s acting skills but as a detriment to the enjoyment of the audience. That is disappointing. This is a film I’ve been meaning to see for a while but perhaps I won’t rush to now. I like Corbijn’s previous work though. You might appreciate it more than I did. Some people might value its introspection and great deal of silence more than I did. Overall, it’s worthwhile but definitely not memorable. Have you seen Corbijn’s Control? What did you think of that? While it feels like nothing much is happening, there’s a lot going on under the surface, and a real sense of growing suspense. Still, I wish there was more here for me to care about Clooney’s character. Good review. I wasn’t really impressed with The American. I thought it wasn’t showing Clooney’s potential, as he was mostly silent in this movie. Quite boring, frankly. Agree with your review.